Can you believe 2016 is already over?? It feels like just a few weeks ago that I was writing up the last post of 2015 and now I’m writing the 2016 roundup. This year has been great and I really feel that this blog and the community has grown over the course of the year. Today, I wanted to talk about some of the best posts of the year, the nes you guys liked the more, and a few milestones that I’ve reached with this blog. Based entirely off views and how many people subscribed after reading these posts, these were my top posts of 2016. Before, my blog was about anything and everything (it wasn’t even called The Blue Elephants), but I made a point to narrow my focus this year. 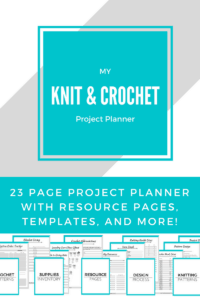 Instead of writing about anything I was doing, I wanted to make this a knitting and crochet blog. 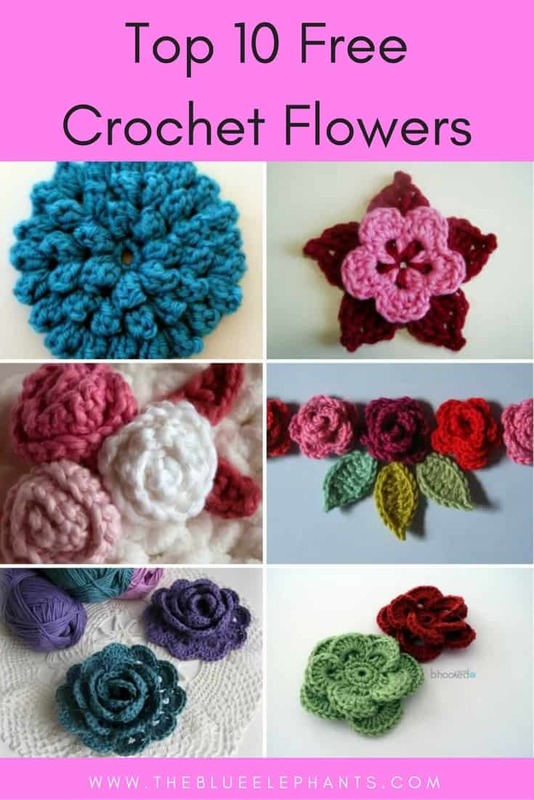 So, my top posts this year were all crochet themed, which is awesome! I love these flowers and I hope to do something more with them in the next year! 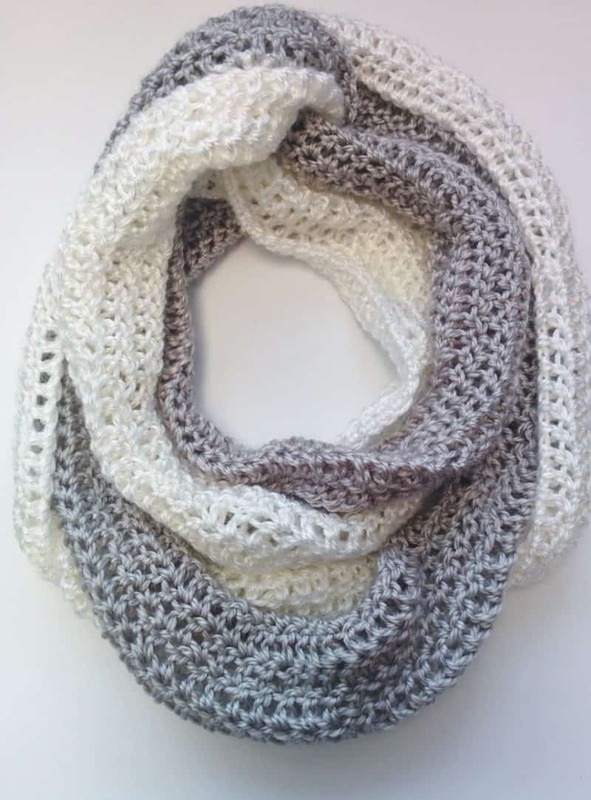 This super easy and versatile scarf was a hit and so many of you loved it! The crochet elephant was actually my most recent post, but it was so highly requested that I’m including it anyways! This little guy was the inspiration behind my blog name, or at least, the original elephant was. When I created this new blog and called it The Blue Elephants, a bunch of people wanted the pattern, so here it is! Blogging started out as a random hobby for me, just somewhere to write about the 5 million projects I was already doing. I didn’t expect anyone other than my cousin and my best friend to be reading it. But, a few years later, here we are reaching milestones and growing in a way I didn’t think was possible. A 2016 roundup wouldn’t be complete without sharing some of those milestones. This year, I also held the first giveaway on The Blue Elephants! I wanted to do something for you guys after sticking with me when I disappeared for a month, deleted my old blog, and created this new one. And then again when I reached the first 1,000 subscribers. 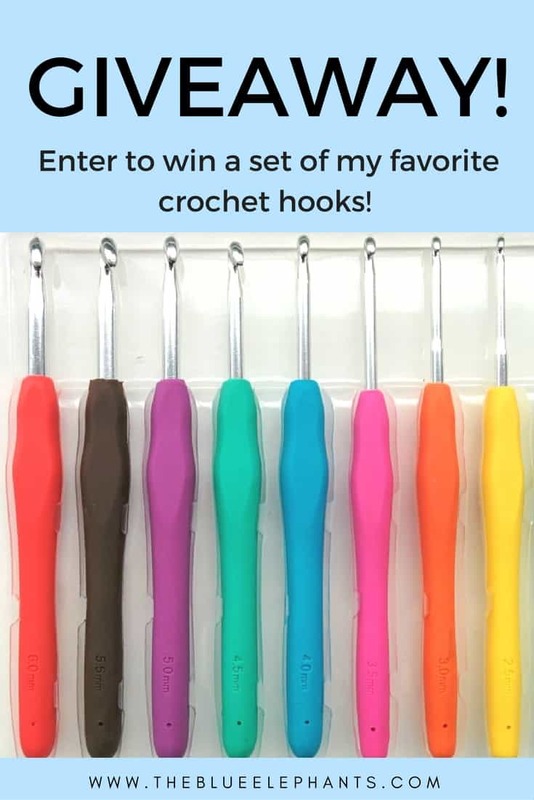 I gave away a set of my favorite crochet hooks (read the review here) and I can’t wait to hold more giveaways in the future. Hopefully, they’ll be international! The Ultimate Guide to Sizing Hats – get hats right the first time! 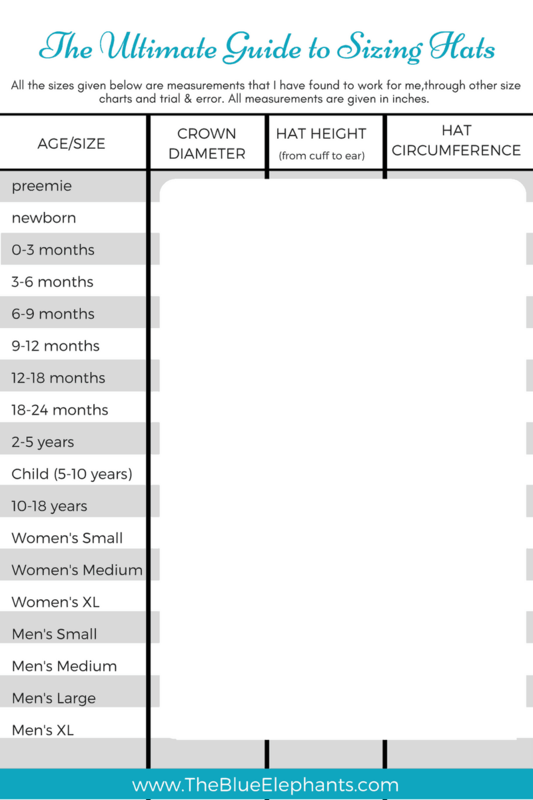 You’ll never have to guess how big to make a hat anymore because this chart lists all the measurements you need for every size hat. 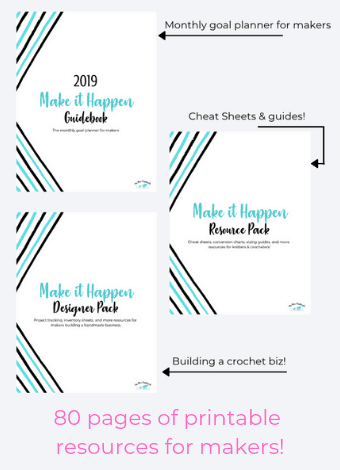 Designing Your Own Patterns Workbook – this went along with my post on the same topic and it’s a template to help you track and write your own patterns. I use it myself and I love it. 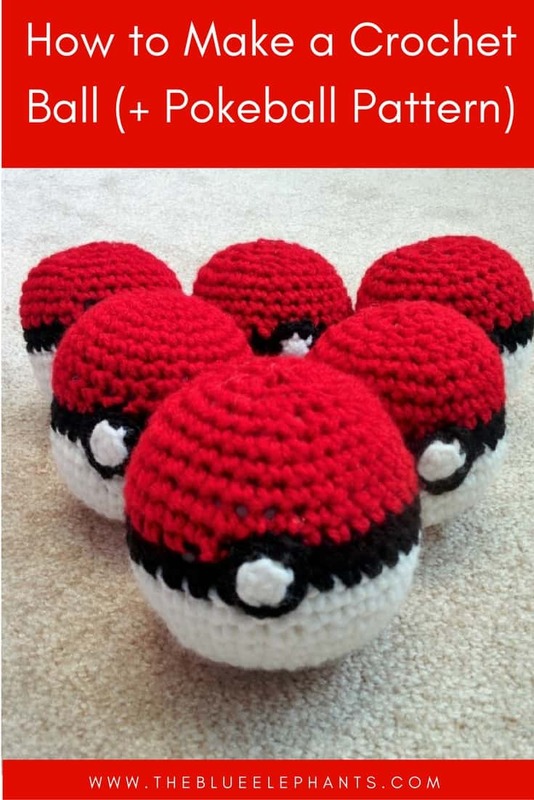 Plus, I also made concise, printable PDFs of some of my most popular patterns. Now you can print them out and take them without you without having to pull up the post every time you need to reference the pattern. And the last thing I wanted to celebrate this year was being about to see your work and how you interpreted my patterns. 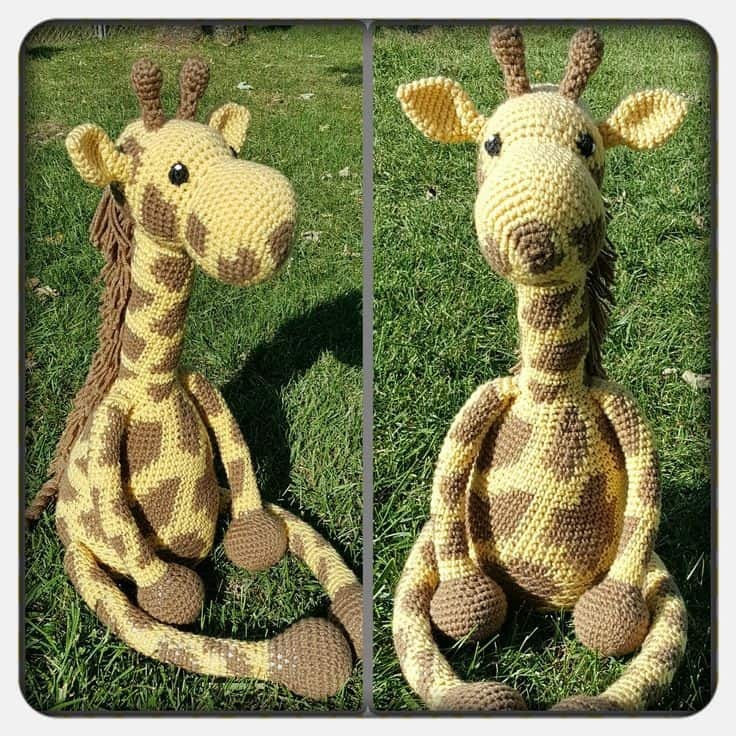 I love being able to see what you guys make, and a few of you have sent my pictures of your finished giraffes. This classic giraffe is done by Tracy. Love how she worked the spot into the rounds! 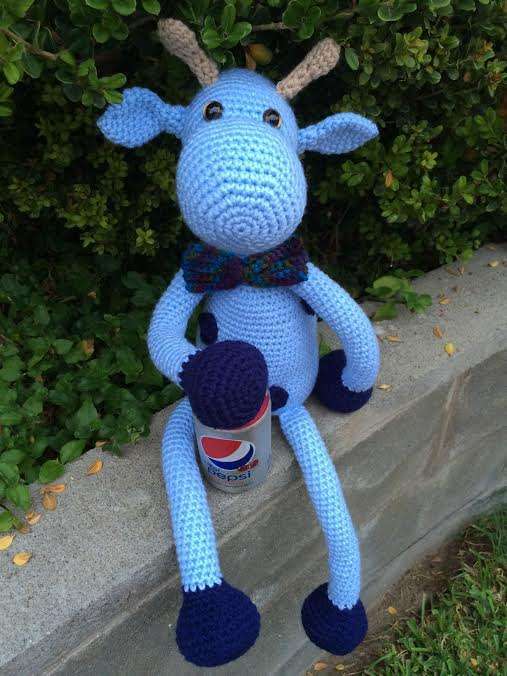 This blue guy is by Margie and was the first picture I received! I think this bowtie makes him extra cute! Thank you so much for reading and checking out the highlights of this 2016 roundup. This year has been awesome, but I am ready for 2017 and to get to work on all the great ideas I have lined up. 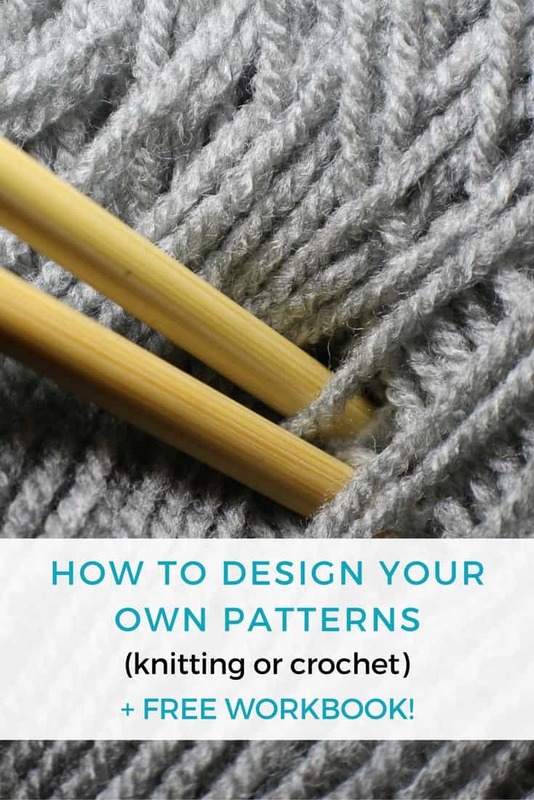 I’m coming up with a few knitting and crochet goals for the next year, which I will share in a post coming soon. But, in the meantime, let me know what your goals are for 2017? Is there something you’re dying to try or something you’d really love to master? Let me know in the comments below, and be sure to subscribe if you haven’t already! There is going to be so much you don’t want to miss out on in 2017!